This morning, Alex Whetsell, President of KnifeNetwork, blasted out a message promoting the 8th edition of the Don Guild Collection Sale. 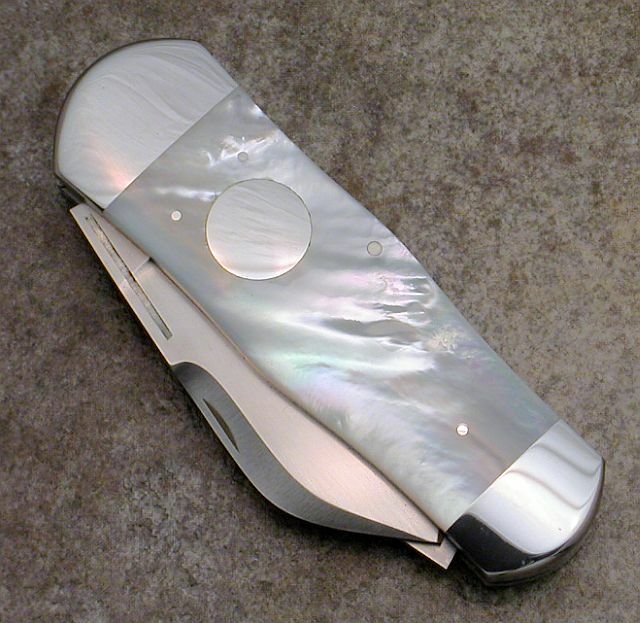 Of course, I clicked over to find about 70 fine custom knives by makers you know. So, I thought I’d pass it on in case you want to grab yourself something for Christmas…or Thanksgiving. Here is the link directly to the online catalog. Enjoy! 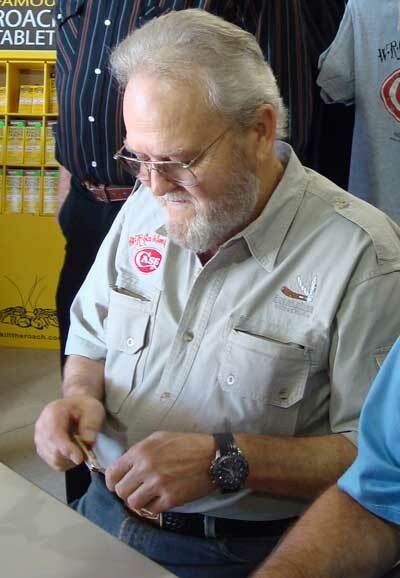 For this edition of the CNJ Knife Show we are pleased to bring you a one-on-one conversation with legendary knifemaker, Mr. Tony Bose. 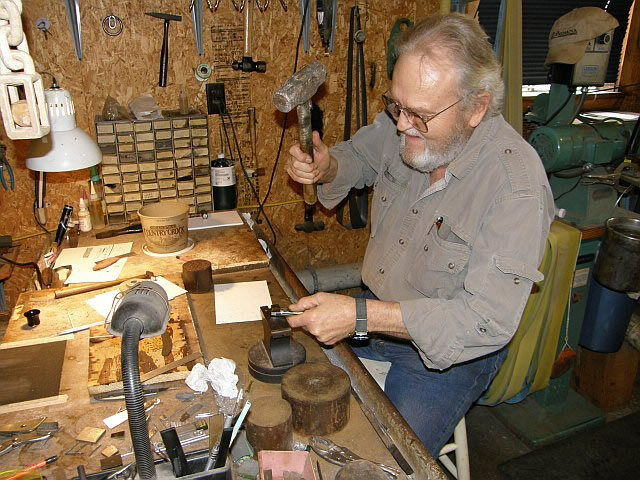 He has received many awards for his high quality knives and is recognized as one of the top custom makers today. Tony tells us why he started making knives, in addition to candid advice for aspiring knife makers. He also provides an insider’s perspective on the custom knife market and today’s prices. I invite you to listen in as he shares with us the knives he finds the most challenging to make and why he chose to bring vintage patterns back. If you don’t know Tony, he is a very humble man with a tremendous passion for knives and wonderful sense of humor. It was a pleasure to have him as our guest. The buffering time typically varies from 11- 20 seconds based on your connection speed, so please be patient as the show loads. He also has made a very few of my all time vintage pattern- the Elephant Toenail. He will share with us his experience making this treasured pattern and why it is so difficult to make. Check out his website and photo gallery of his knives. 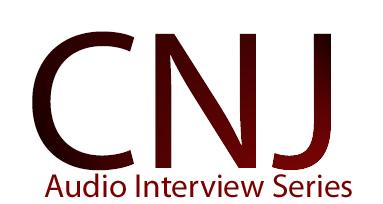 CNJ brings you the first knife show on the web with its Audio Interview Series with key individuals in the knife industry. 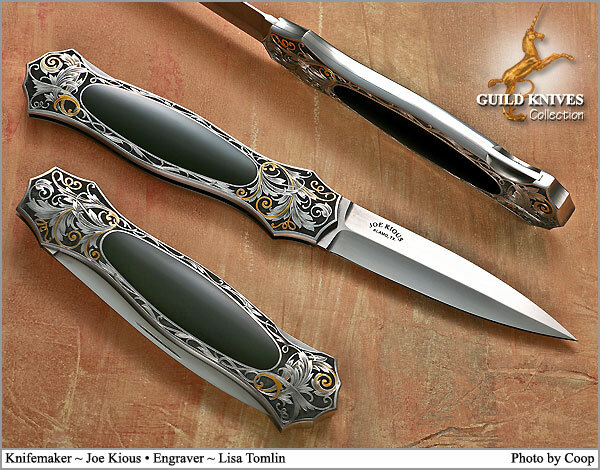 Our guest in today’s exclusive interview is Mr. Kevin Jones, one of the founders of the Custom Knife Collectors Association. If you are interested in one-of-a-kind handmade knives then I believe you will find today’s show interesting and informative. 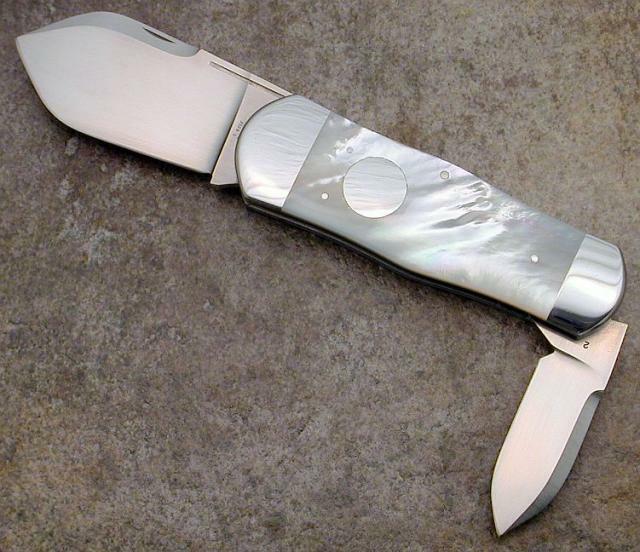 The CKCA is an international collector association made up of custom collectors and knifemakers. In today’s show you will sit in with me as we discuss the CKCA, the programs and benefits it offers to custom collectors, challenges faced to custom knives, resources for collectors, suggestions for individuals interested in customs and much more. The buffering time of the show varies depending on your connection speed. Typically it takes around 10- 15 seconds before it begins, so please be patient as it loads. 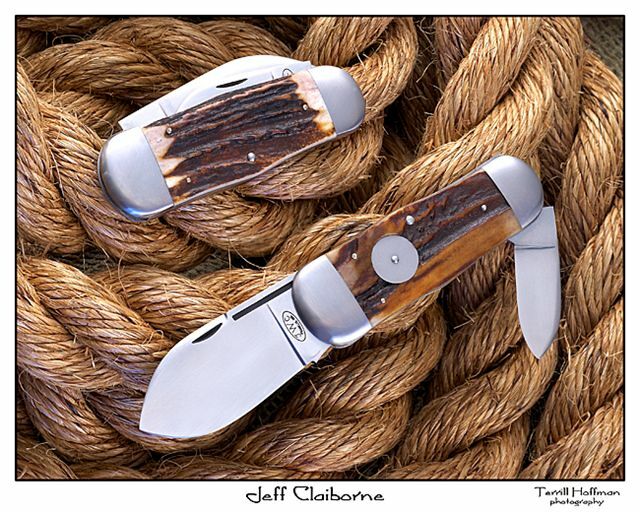 Over the last month knifemaker Jeff Claiborne has provided us with a photo journal of a knife he was making. It is finished now and probably on its way to its new owner as we speak. 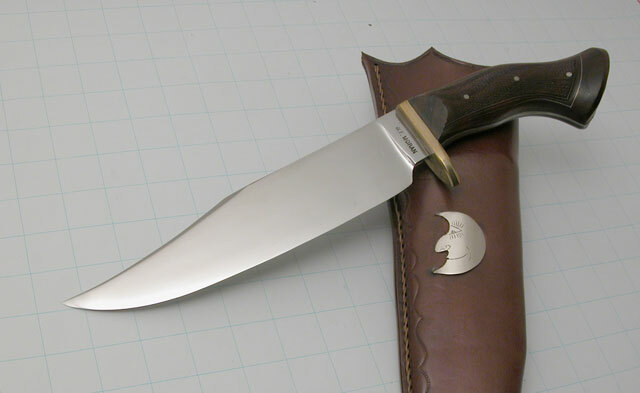 While I don’t normally keep up with knives as they are being made, this one is one of my personal favorites and since we are “fair and balanced” here at CNJ (meaning we like all “things that go cut”– to borrow a phrase from our good friends at the Oregon Knife Collectors Association– regardless of whether they are old or new), I thought you would appreciate the beauty of this work of art. Needless to say, if you know anything about me, you know elephant toenails are my all time favorite vintage pattern. I promise to keep 99% of my toenail writings limited to our sister site, but just couldn’t resist sharing this one with you. 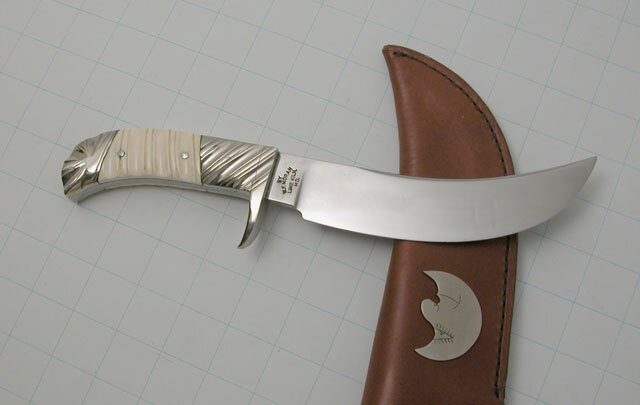 CNJ reported on a major custom knife auction– The Legends of Knifemaking- Auction 40. This auction was conducted by Bruce Voyles and is now history. In total 179 custom knives were sold through this auction for a total sale of $125,000, including the 13% buyers premium. What type of Knife Person Are You? So, what type of knife person are you? Are you a collector? If so, which type? Oh, you don’t actually collect knives, instead you just have a several different knives that are your EDC (Every-Day Carry) knives? You are a collector and just haven’t realized it yet. I ran across a good overview of the different types of knife people and wanted to share it with you. Basically, the author outlines 6 different knife “collector” types. It was written by Dr. K. Click HERE to check it out. I have to admit, while I was at one time a Custom Collector and still find them extremely appealing (meaning I have a weakness for cool knives), I am solidly a combo of The History and Antique Collector at this point. If you are curious as to the knives I spend my time hunting, I invite you to ElephantToenails.com.